South Wales business owners are being encouraged to make a new year’s resolution – and to put their employees’ happiness at the heart of it! Counsellor Lynette Evans, who runs The Listening Helper, works with businesses to help them transform staff sickness levels, productivity and positivity. According to Lynette, many of us make new year’s resolutions in our personal lives but not so often on a professional level – and yet making small investments in staff happiness could have a huge impact on your bottom line. The benefits of a happy workforce are widely known, including increased productivity and creativity and better staff retention. Sandwich chain Pret a Manger’s sales growth of 15% year on year has been attributed to its cheerful staff, with its training academy even known as ‘the Happy Factory’! Lynette works with a number of large UK companies, as well as SMEs and charities, to help employees tackle conditions such as stress, anxiety and depression and to reduce staff sickness rates. 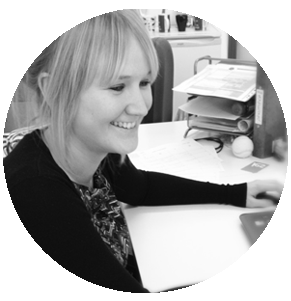 Lynette works with business owners from Newport to Carmarthenshire and is also available for staff Skype sessions. To find out more, visit www.thelisteninghelper.co.uk or contact Lynette on 07720 849263.